Black Peppermint plant, Mentha x piperita var; Mitchem’s Black, is the strain used in commercial peppermint production and cannot be reproduced by seed. Black Peppermint can only be propagated by cuttings or divisions. 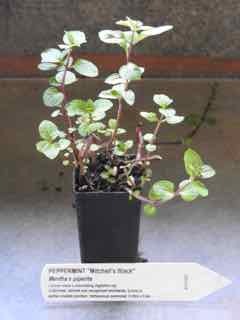 Be the first to review “Mint, Peppermint (Black) plant” Click here to cancel reply.